In 2017, Cal Stars Basketball and the Ultimate Sports Association formed a partnership and started a new girls basketball program, "Cal Stars U". This program offers players from grades 3rd through 8th Grade amazing opportunities to play basketball and continue their skill development. 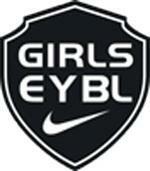 Cal Stars U teams play in the MVP Flight league and local camps and/or tournaments. All players who sign up will be placed on a team, which are divided by grade level. All practices are at the Ultimate Field House (2675 Mitchell Drive, Walnut Creek) and are two times a week, Mondays and Wednesdays. Players in 6th-8th grade who tried out for, but are not selected to a Cal Stars Elite team, will be placed on a Cal Stars U team if desired. The Cal Stars U teams are coached by a staff with a strong foundation in basketball fundamentals and who will assist each girl in developing as a player and a teammate. All of our coaches have directly worked with our Club Director, Kelly Sopak, to ensure the very best experience for each player and to be sure the girls are getting a solid foundation for their future basketball goals. ©2019 Cal Stars Basketball / SportsEngine. All Rights Reserved.